Business and leisure travelers enjoy staying at our new hotel, Pueblo Holiday Inn Express & Suites, located in the popular northern part of the city. Shopping, restaurants, and area attractions are just a few minutes away from our hotel. Pueblo is full of fun attractions that your family can partake in during your stay at our pet friendly hotel. Nearby Lake Pueblo State Park is one of Colorado's most popular parks, offering a variety of outdoor activities and it is eight miles from our Holiday Inn Express. Other area attractions that are close to our hotel in Pueblo, CO include the historic Arkansas Riverwalk, Pueblo Zoo, the Aircraft Museum and the Pueblo Mall. 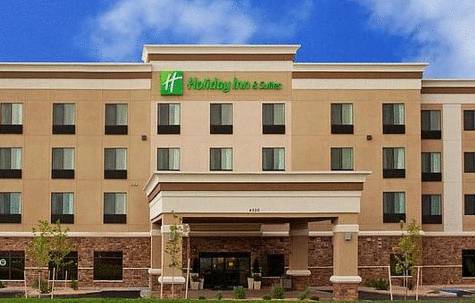 The Holiday Inn Express & Suites, the newest hotel in Pueblo, provides premium business services, like a 24-hour Business Center, free high-speed, wired & wireless Internet access and three large Meeting Rooms with seating for 175. In addition, our Pueblo Holiday Inn express hotel is ideally located off I-25, providing quick access to area businesses like the American Association of Railroads, Innotrac Corps, Rocky Mountain Steel and Parkview Medical Center. While staying with us at the Holiday Inn Express & Suites Pueblo North, you can enjoy the indoor pool, hot tub and Fitness Center. River WalkThe River walk Downtown - Very relaxing and beautiful.